Toshiba continues to be a leader of innovation and development in dynamic volume CT thanks to our close working partnerships with industry professionals. Forging forward, introducing a new generation dynamic volume CT. The Toshiba brand name is synonymous with cutting edge reliable technology and high level patient safety in the global medical industry. With the introduction of the next generation Aquillion One, the margin between the Toshiba offering and the closest competitors became even more exaggerated, especially with the introduction of their new detector “PUREVISION”. 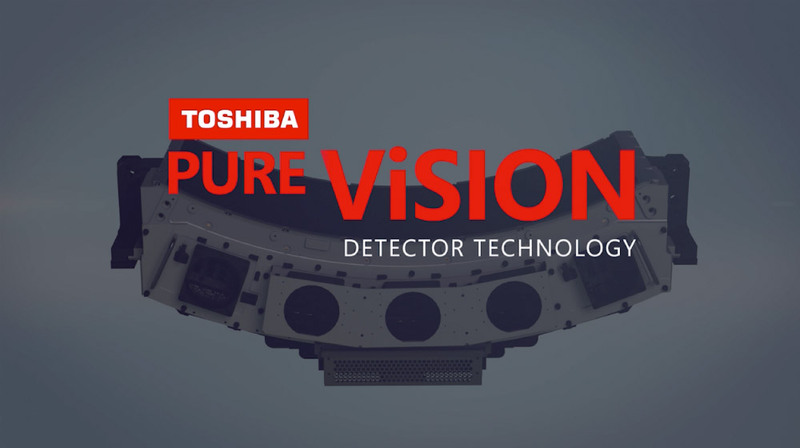 Toshiba’s PUREViSION Detector completely redefines CT Detector Manufacturing. It can be difficult to effectively communicate the impact of complex advancements in the medical sector so our challenge was to develop a communication strategy to execute clear messaging with powerful creative that could be used for promotion across their existing channels. A microsite was developed to showcase and promote the new product offering. The content highlights the close partnerships between Toshiba RND team and medical specialists, which are paramount in producing innovations where technology helps with efficiency but also adds to the user experience and increases patient comfort and safety.